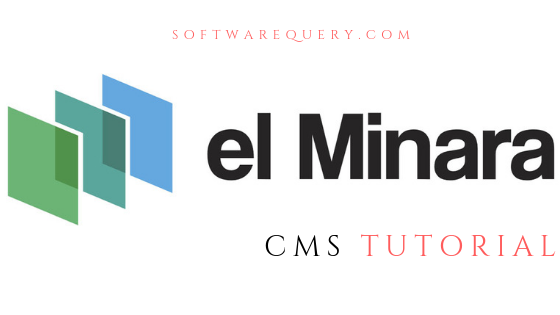 El Minara is a hosted CMS platform for Direct reaction marketers that makes a specialty of without problems building and retaining pages to ensure that campaigns are saved updated. El Minara manages domain integration, SSL certification, website hosting and plenty greater. El Minara has the potential to control a couple of domain names from one easy to use interface with the abilities to track campaigns and services round the clock. It also presents a high-quality graphical templating engine wherein you can construct your websites from scratch. right here our are top 8 capabilities that customers have despatched in. Step-1. Go to https://www.elminara.com/ and click signup button then fill all required field of the signup form. Step-2.After signup click login button enters Email and password. you have another option to log in with Gmail account. Step-3. After login Automatically opens El Minara Dashboard. El Minara Dashboard shows a location Ip address, date, time. Intercompany Email, State of Incorporation. Step-6.Go to Menu then click contact button then Fill all field of form like Ower, Contact the company, contact Rep Name, Contact Rep Phone, Contact Rep Email, Contact Note, Contact Image. Step-7. Go to Domain button add new Domain Fill All required field like Domain Name, Copyright Name, Support Phone and also enable HTTPS then press the next button. Step-8.We are going to Manage Domain button Fill Domain field, copyright Name, support Email then also enable https then press the next button then add DNS Management if you have own account then select use your own DNS or if you have cloudfare account then select your cloudfare account or if you want free DNS then select Free DNS at EI Minara through cloudfare then press next button then select free SSL. Step-9.Go to product option Add new product Details like Product Name, Category, CRM Product, Price, Max Quantity, SKU etc then press save button. HTML img where you want to show logo. Step-11.Used Many types of tokens like the product, funnel, Domain owner, company, shipping etc. Step-12.Add shipping option field shipping name, shipping password, shipping method, CRM Shipping ID then press saves button. Step-13.Add Responder Email_id, Subject, Template Body, From Name and also set Interval then press save. Step-14.Using Different types Of CRM like SixCRM, LimeLight, Konnektive, Triangle, Demo, Response, Nmi, Checkout chooses one then fill Request End Point, Access Key and also Secret Key then press save button. Step-15. Manage Host is another option to fill all field like which type of host used in Host type, next is token field please enter your unique token, next is SSH Details, Remember Host Staus is Active. Step-16. If you want to External Domain Provider select this option . Step-17. Add account details like Personal Info Name, Contact Number, Email, Address, City, Country. Zip.